Santiago is considered one of the most cosmopolitan cities in South America. But when you visit the numerous markets sprinkled throughout, you can still experience its Latin American charm. For that reason, I’ve put together a DIY Walking Tour Guide to 5 of my favorite markets in Santiago. And if you need some company, you can always join me on my Airbnb tours! You can’t have a market tour of Santiago without including the city’s powerhouse, La Vega. 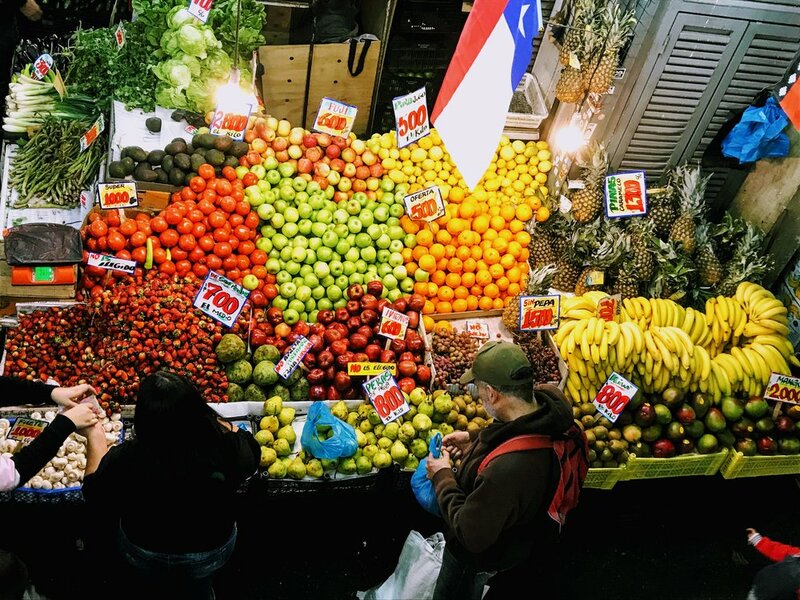 I’ve previously written about my love for this all-encompassing mercado, with miles of fruit and vegetable vendors selling everything you can imagine. I can easily spend hours whiling away my time here, meeting local business owners and sampling new fruits I haven’t seen before. As the name suggests, La Vega Chica is the smaller market adjacent to La Vega Central. It consists mostly of several meat vendors lined up in 2-3 aisles, followed by a section of tiny eateries, serving up Chilean and Peruvian meals. The food is cheap, the vibe is chaotic, and you’ll learn to appreciate the Chilean hustle. Tirso de Molina was a Spanish Baroque dramatist, poet and Roman Catholic monk. For reasons I can’t explain, the eponymous market was named after this historical figure. Tirso de Molina is a calmer version of the Vegas - it’s just slightly quieter and a touch cleaner. My favorite aspect is the beautiful speckled roof, which is most apparent on a sunny day. It consists of two floors - the bottom floor has your typical fruit and vegetable vendors, as well as several juice stands (we always have it during my Airbnb tour). The top floor has scores of restaurant vendors and a few clothing shops - be warned: if you’re a tourist, you WILL get accosted to eat there. This is the only market on the list that doesn’t sell food. Pergado de Flores is located right next to Tirso de Molina, and is filled with flowers for all kinds of occasions. This is the perfect R&R stop on your tour to literally, stop and smell the roses. You’ll see so many varieties of flora, and if you find a friendly vendor willing to talk to you, they’ll explain their growing process. Definitely worth a quick stop. Pro Tip: When I take visitors on my tour, we usually stop at one of the many local food stands right outside this market. Make sure you don’t miss your chance to try out the local fare! Last, but certainly not the least, on our tour is the Mercado Central Fish Market. 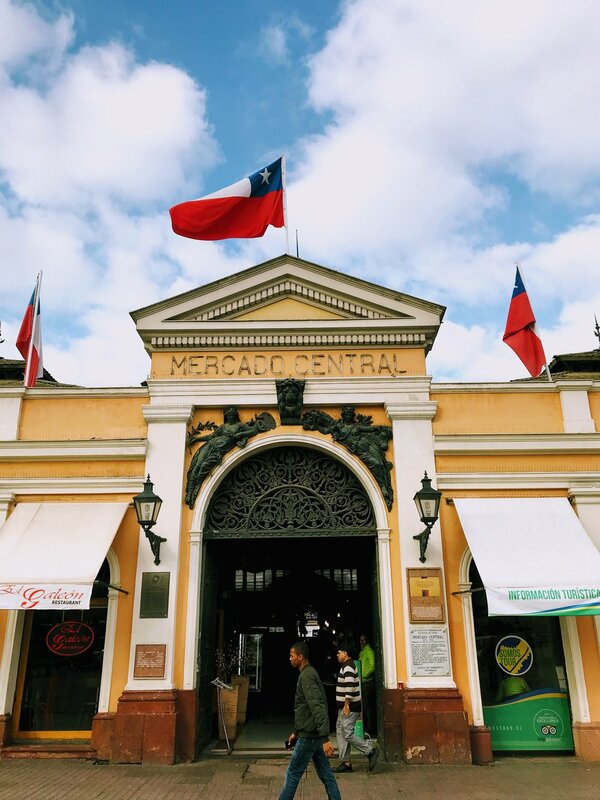 It’s one of the oldest markets in Santiago, claiming its roots since its founding in the 1800s. 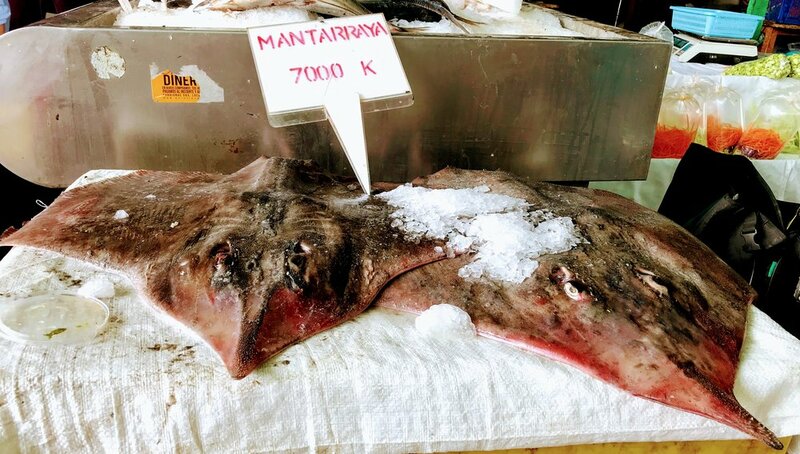 While the market has both produce and souvenirs, it’s known best for its seafood options. Every day, the market brims with a variety of selections, and is a must stop on your walking tour. WANT A PRIVATE MARKET TOUR OF SANTIAGO?